Contact driver to confirm rates and availability. Safe. Reliable. Speaks English well. Our preferred driver. Max LuceroA great value and reliable. Speaks English well. 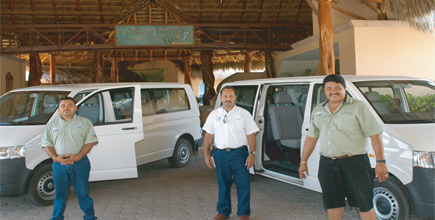 All major car rental companies service the San Jose del Cabo airport. National car rental has a desk at the Hotel Palmas de Cortez Resort for your convenience. San Jose del Cabo and Cabo San Lucus. have a great track record.